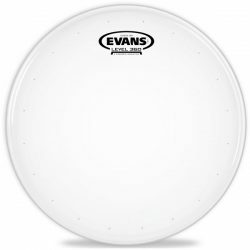 This is a responsive 2-ply drumhead, giving a quick attack followed by a controlled mid and low-end sustain. 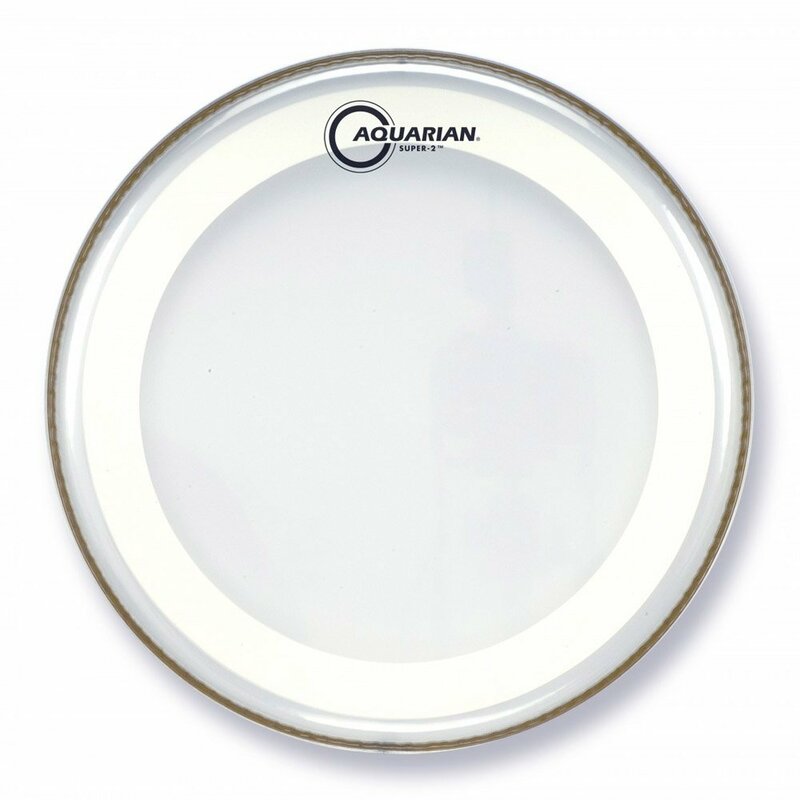 The Aquarian Super 2 Clear with Studio-X Ring is great for focused and slightly warm toms. 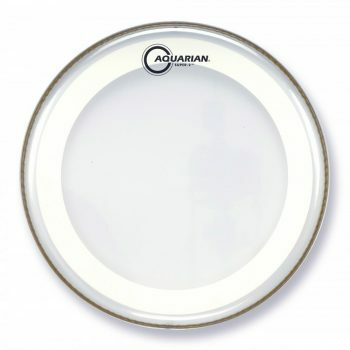 The Aquarian Super 2 Clear with Studio-X Ring is a 2-ply drumhead, made with one 7mil and one 5mil ply. The Studio-X Ring is a control ring adhered to the underside of the drumhead. 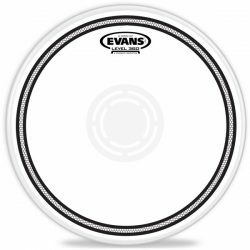 This control ring works to reduce strange and clashing overtones, and makes this drumhead easy to tune. 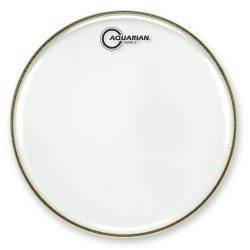 The Aquarian Super 2 is slightly thinner than standard 2-ply drumheads, giving you more responsiveness, while keeping the durability and added focus that 2-ply heads are known for. 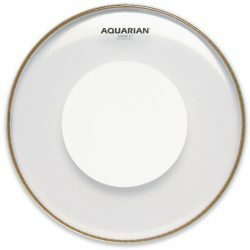 Thanks to the Studio-X Ring, this version of the Aquarian Super 2 focuses the sound a little more, shortening the sustain and helping to minimize ringing overtones. 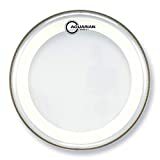 This drumhead has a good projecting attack, with a slightly warmer and more controlled sound compared to the regular Aquarian Super 2 Clear (but still well balanced and not too warm). As the name implies, the Super 2 Clear with Studio-X Ring is great for the studio, due to the more focused sound… Overtones won’t mess with your recording. There is a bright stick attack, which then smooths out to balanced-warm tones. These heads are also great for live playing, especially at medium or higher volumes. The thinner 2-ply design also means that the Super 2 is sensitive enough to use if things get a little quieter. 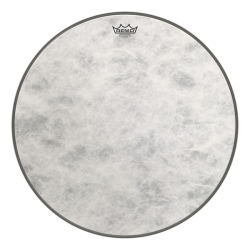 Be aware though, at extremely high or low volume levels, these drumheads may not cut it. 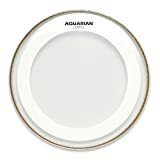 The Aquarian Super 2 Clear with Studio-X Ring is a great drumhead option if you want to avoid the excessive overtones, lower durability, and reduced projection of 1-ply heads. 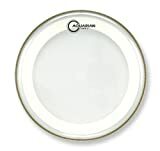 This drumhead will allow you to control overtones, without killing the sustain.